It is estimated that as many as 50 percent of adults in America over the age of 65 are taking at least 5 medications at one time. This can make keeping track of daily doses challenging – especially for adults suffering from any form of cognitive impairment. If you parent or older relative is having trouble managing their daily medications, there are a few simple steps you can take to help them stay on track and prevent problems like missed medications and double doses. Here are a few tips for organizing your loved one’s prescriptions and medication schedule. Emergency room statistics show that approximately 15 percent of all visits to the ER are due to adverse drug reactions among older adults. 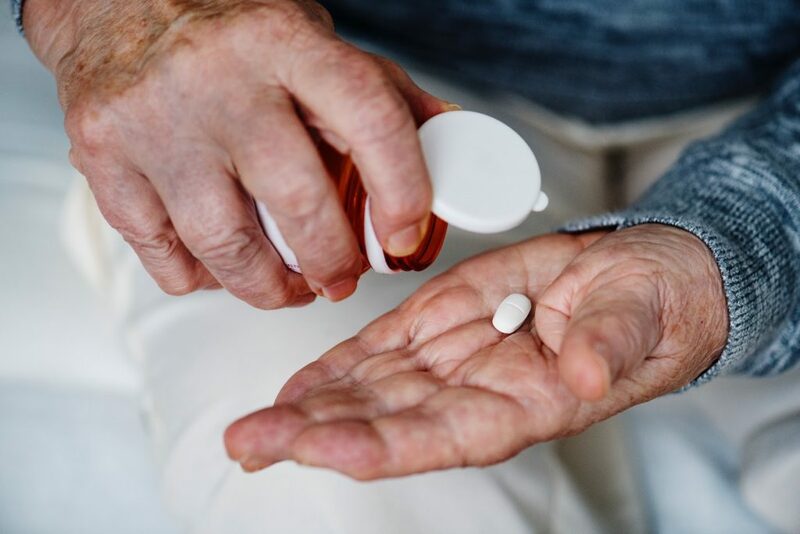 Since many seniors visit more than one doctor, it’s important to ensure that there are no contraindication issues with medications. Accompany your parent to his or her doctor appointments to review the full list of medications that are currently being taken and make dosage adjustments, if necessary. It’s also a good idea to ask each prescriber if there are ways to simplify her medication schedule. If, for example, your father is taking a certain medication four times a day, you may be able to change the prescription to a medication that only needs to be taken twice daily. When consulting with each doctor, be sure to mention any over-the-counter medications your parent is taking. While you can use a pen and paper to track your parent’s medication, there are also many spreadsheets and templates available online to help you organize a medication list. Once you’ve made the list, make sure you always have a copy with you. You’ll also want to provide a copy of the list to any other caregivers in your parent’s life. If lists aren’t your thing, consider using a medication tracking app like Med-Helper or Medisafe. These apps are designed to help patients stay on schedule with their medications and offer convenient features like medication logs, missed medication alerts, prescription refill reminders, and drug interaction warnings. Apps are also a good idea if you need to coordinate your parent’s care with other caregivers. Most people store their medications in a bathroom medicine cabinet. This is not always the best solution, as the humidity from a shower can reduce the effectiveness of the medications. Instead, consider storing your parent’s medication in a place that’s cool, dry, and easily accessible – such as a kitchen counter. The exception to this is if any medications need to be refrigerated. In this case, make sure the medications are stored on an easy-to-reach shelf in your parent’s fridge. Another good way to keep medications organized and accessible is to purchase a pill organizer or timed medication dispenser. These items can be purchased in any pharmacy or through online retailers like Amazon. If you’ve decided to use a pill box, be sure to get one that your parent can open easily. It can also be helpful to use different pill boxes for medications that need to be taken at different times of the day. When it comes to managing your parent’s medication, consistency is key. Your parent likely performs the same tasks at the same time every day, such as brushing teeth first thing in the morning or eating dinner at the same time every evening. Take your parent’s habits and schedule into account when deciding on the best times to administer his or her prescription medications. Establishing a routine will also help you and other family members stay on track with your parent’s medication and prevent double doses. Managing your parent’s medication doesn’t have to be complicated, but it does require some forethought and planning. The above tips should help you stay on top of your parent’s prescriptions and ensure the safety of your loved one. If you need some medication reminders, our caregivers can help with personal care and health support- learn more here.